Workers have the right to be compensated fairly for their labor, and this right to fair compensation can include overtime pay when the labor exceeds a standard workday or workweek. Despite the laws protecting workers’ entitlements to overtime pay, however, not all employers honor this right. And when workers are cheated out of the overtime they have earned, taking action to hold the employer accountable can be the best way to obtain justice – and the compensation – that these workers deserve. At Koron & Podolsky, LLP, our Sherman Oaks attorneys are dedicated to protecting workers’ rights and helping them pursue all available legal remedies when employers have failed appropriately compensate them for their work. Known for providing vigorous legal advocacy and personalized legal services, our lawyers are ready to fight for you and help you succeed in your financial recovery. More than 40 hours in a workweek (with a “workweek” being any consecutive seven-day period starting on the same calendar day each week). The first 8 hours of work performed on the 7th consecutive day of work in a given workweek. 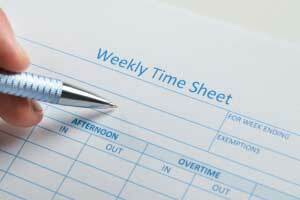 Salaried employees, as well as hourly employees, can be entitled to overtime pay. Employer authorization is not required for overtime pay to be due. In other words, if a worker performs unauthorized overtime work, (s)he will still be entitled to overtime pay. Overtime waivers – One way employers can try to get out of paying workers overtime is to have these workers sign overtime waivers. These waivers, however, cannot legally prevent workers from being able to collect the overtime pay they deserve. In other words, even if you have signed a waiver giving up your claims to overtime, California law will still require your employer to pay you the overtime compensation you have earned. Misclassification of workers – Another way employers may try to sidestep overtime laws is by classifying workers as “independent contractors,” rather than employees. This type of worker misclassification is not legal, and affected workers will have options for holding employers accountable. Potential remedies – When overtime cases against employers are successful, they can result in compensation that includes (but may not be limited to) damages for unpaid overtime, emotional distress and attorneys’ fees. In some cases, punitive damages may also be available. If an employer has failed to pay you the overtime or other compensation you have earned, contact a Sherman Oaks employment lawyer at Koron & Podolsky, LLP to find out more about your options for justice. Call us today at (818) 380-3077 or email us using the contact form on this page for more information about how to proceed with your potential case. From Sherman Oaks, our lawyers provide superior representation to people throughout Los Angeles County, Orange County, Ventura County, and the state of California.